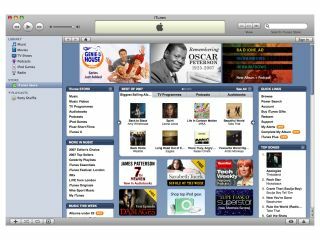 Apple is laying the groundwork for a cloud-based iTunes Store which will not only hold music – as previously reported – but movies too. According to CNET the fruit-based company is in discussion with movie studios to allow video content to be stored in the cloud for its upcoming iTunes service. The idea of iTunes being in the cloud is an obvious one in today's on-the-go web-reliant world. Through Wi-Fi or 3G you would access your content on the cloud-based service and not worry about the mountains of disk-space needed for storing movie content on your iPod/iPhone/iPad. The problem that Apple seems to be facing is that movie execs aren't happy with the company's normal walled garden approach – they want a cloud-based site to be accessible from non-Apple products. This is something that always seems to sit uneasy with the company. James McQuivey, a media analyst at Forrester has said about the 'open access' idea: "Apple would prefer not to do this. But it just doesn't have the leverage it once did. "Apple can't dictate terms or position itself as a digital saviour."